Q: How can I deal better with my difficult emotions? A: Use their energy to fuel your creativity. I have been thinking a lot about Creativity recently. It plays such a big part in my life and I owe it so much. When I am upset, which is more often than I would like, I have learned to turn to Creativity to help me. It never lets me down. Being upset, feeling difficult emotions, experiencing uncomfortable physical sensations, are cues for me to use my Creativity to soothe me. As a bonus I often get a better perspective about what’s really going on. In this way Creativity has a lot in common with Compassion. Compassion is all about harnessing our inbuilt soothing system to regulate difficult emotions, those emotions triggered by our Self Protection and Drive Systems. Creativity and Compassion, especially if used in conjunction with each other, can be very powerful. Emotions, especially those we perceive to be negative, can be difficult to cope with. But they are part and parcel of the human condition. We are not going to escape them, no matter how many therapies we practice. We are not meant to. What we can do though, is learn more skilful ways to manage them. This is what ACT is about; this is what Compassion is about; this is what Creativity is about. When we can use the energy that is generated by powerful emotions in a creative way, that is skilful. Turning emotional energy into creative fuel can produce amazing results. Along with the tangible result of a poem, a painting, a tapestry, a garden, a sculpture, a floral display, a carving, a whatever takes your fancy, there is also an accompanying change of mood. This is the magic of the creative process. It is itself a therapeutic process. I am going to be exploring this a lot in the weeks to come. It’s official, Compassion is good for you. And it turns out Creativity is good for you too. I wrote “CREATIVE PARTNERSHIPS” to remind me of that. 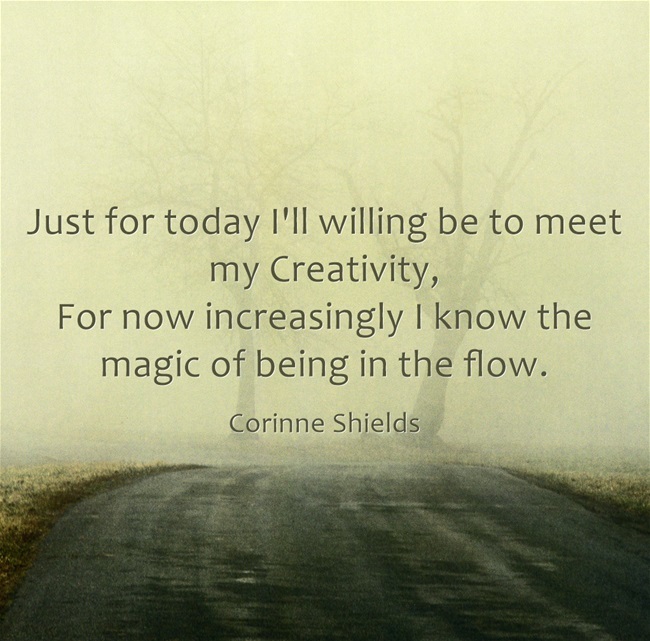 Is Creativity important to you? Do you use your Creativity as an outlet for difficult emotions? I can feel my spirits lifting as the next new verse is penned. 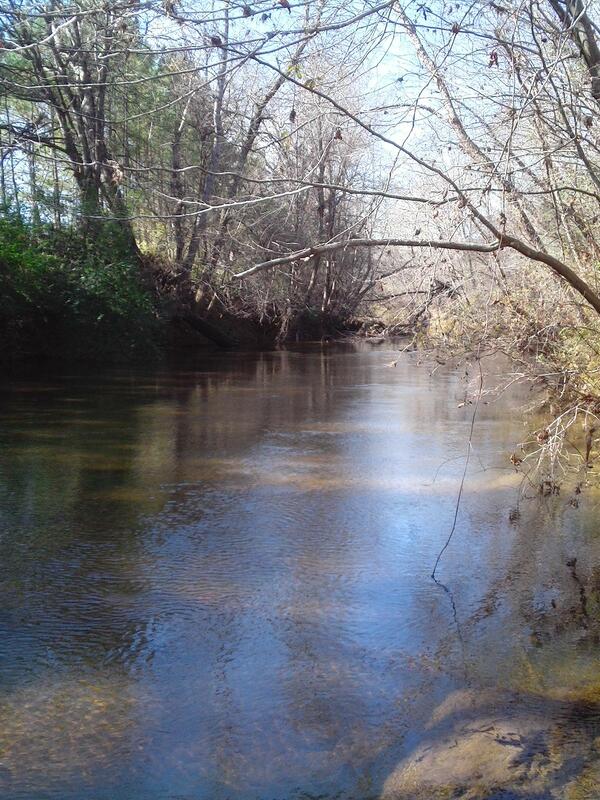 But there’s nothing that’s quite like it when I’m caught up in its flow. If you don’t do this already, do it now, see what you’ve missed. 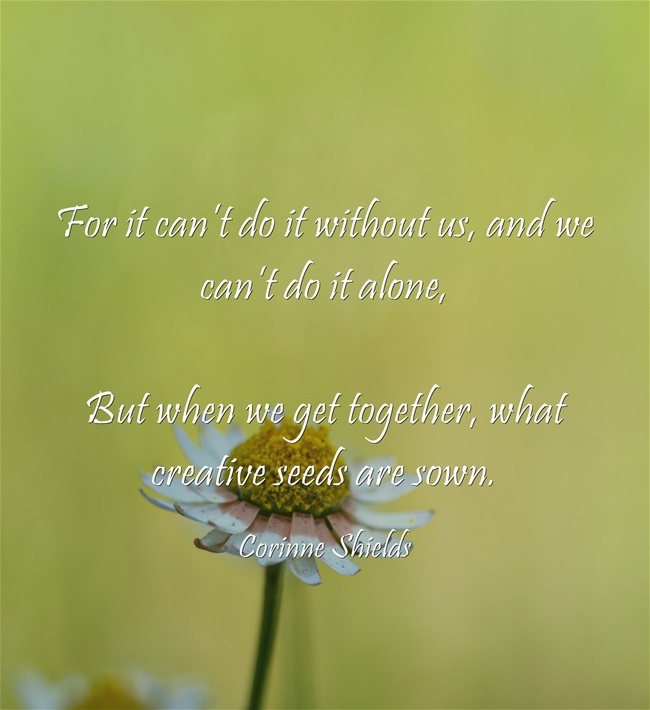 But when we get together, what creative seeds are sown. If you enjoyed “CREATIVE PARTNERSHIPS” please pass it on, and do leave your comments. I would love to hear from you. I am reading the most wonderful book about Creativity. I want to share it with you. 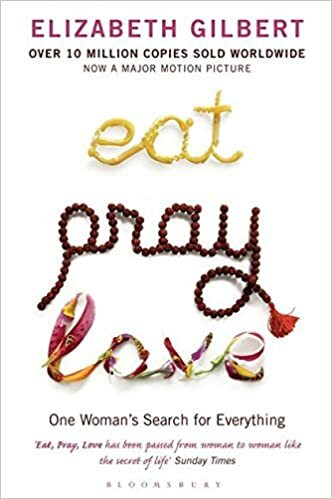 It is written by Elizabeth Gilbert, who some of you may have heard of. 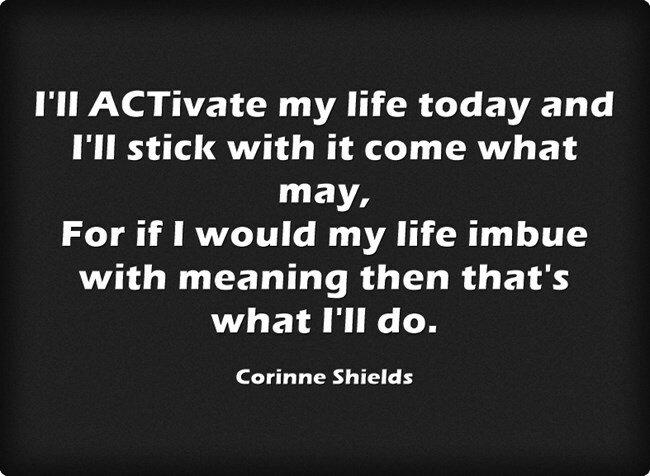 She was the author of the bestseller “Eat, Pray, Love”. I loved that book too. The book I want to recommend here though is not a novel. It is a book about Creativity and I loved it because it treats Creativity in a Compassionate way. This is, in itself, quite a novel approach. Creativity has long been associated with angst, the writer suffering for his art, the penniless poet in his garret, the tortured artist …. Elizabeth Gilbert has a new take on Creativity and it is one that makes it far more likely that you will be encouraged to explore it, use it, befriend it, let it befriend you. 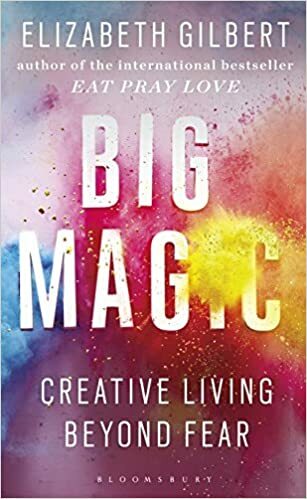 The book is called “Big Magic”. If you are interested in finding out more about how to make Creativity part of your life, it is a great read.